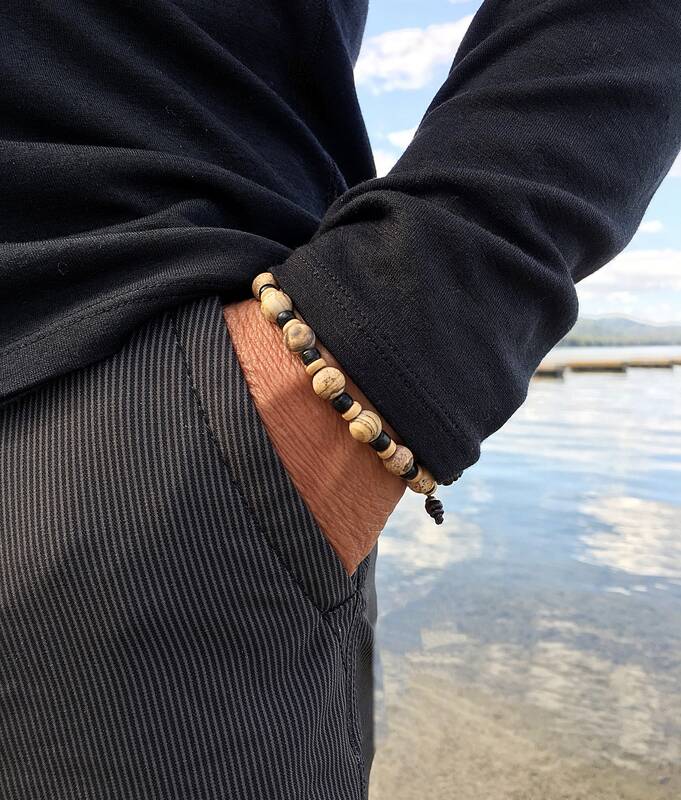 The Men’s Comfort Mala Bracelet features natural Black Obsidian crystals along with matte Picture Jasper gemstones and raw coconut shell to help soothe emotions, ease stress and lift your spirits. Picture Jasper is known as the "supreme nurturer". These gems work with all of your chakras to bring you stability, harmony and balance. Beautiful swirls of gold and brown hold vibrational messages, or 'pictures' from the past. As one of the oldest known gemstones, it is mentioned in the Bible several times. 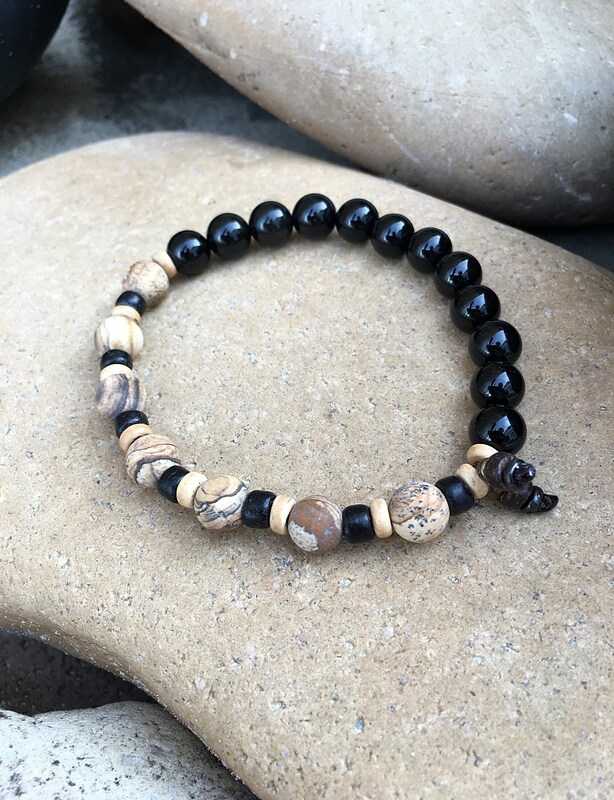 Picture Jasper provides physical protection, absorbs negative energy, transforms ideas into action, and re-energizes the body. 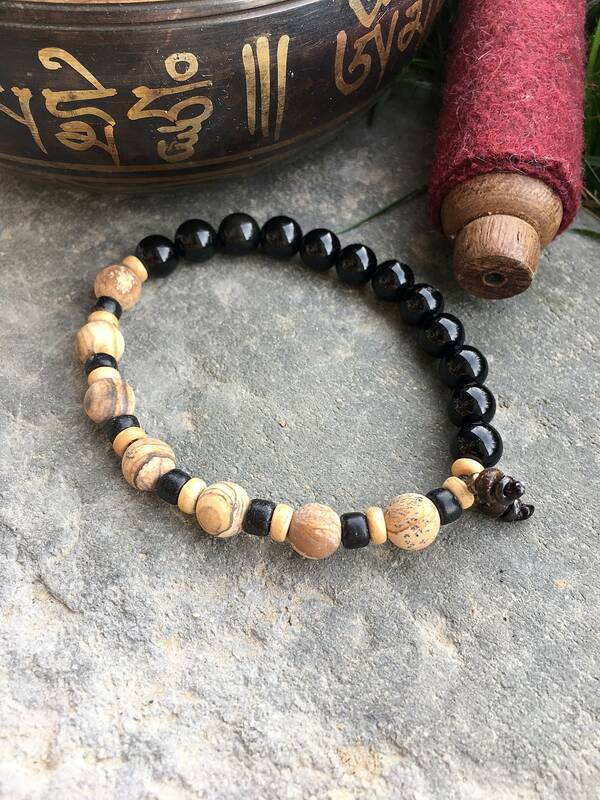 Wearing Picture Jasper can help sustain and support you through times of stress, bringing you tranquility and wholeness. Obsidian is a naturally occurring extrusive igneous volcanic crystal. 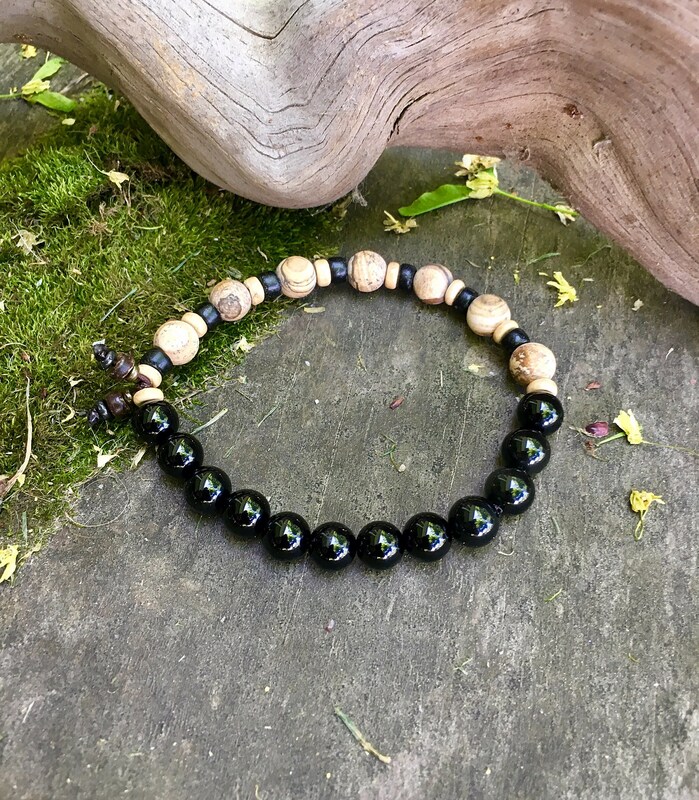 A protective and magical stone, Obsidian forms a strong shield against negativity. It blocks psychic attack and absorbs negative energies from the environment. It eases mental stress, clears confusion and brings clarity to the mind. Obsidian stimulates growth on all levels and has the power to dissolve emotional blockages and ancient traumas. It will also help you to release what no longer serves you. 8mm crystals, strung on strong elastic stretch cord. One size fits most wrists. Custom sizing is available.